NEW YORK CITY, NY - WIRED Magazine released its Top List of 25 Covers of All Time. “Googlemania” cover shoot, featuring Google co-founders Larry Page and Sergey Brin, was photographed by celebrity photographer Michael Grecco. WIRED Magazine recently published “Our Favorite 25 WIRED Covers of All Time” article where the magazine’s editors and art directors share behind-the-scenes details of what made the covers they helped create great. The article paid tribute to WIRED’s 25 year anniversary in publication. WIRED Magazine cover shoot by Michael Grecco of Google founders Larry Page and Sergey Brin. Source: WIRED.com/story/favorite-25-covers. "Much like a blockbuster movie poster or a photo on a book of donut recipes, a magazine cover is an essential opportunity to grab a reader and tell them what delicious stories are inside, with as much wit and visual persuasion possible," stated Anna Goldwater Alexander, author for WIRED. 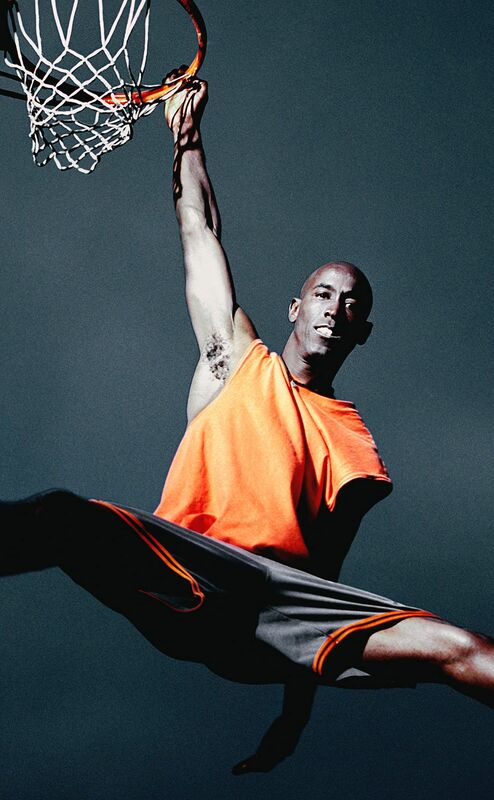 Celebrity Photographer Michael Grecco’s cover shoot was named one of WIRED’s Top 25 Covers of All Time. 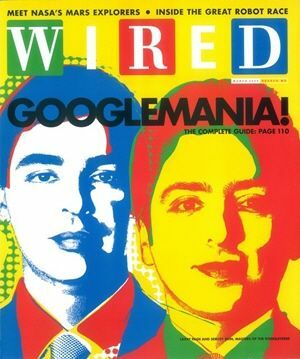 Grecco’s cover headline read “Googlemania - Masters of the Googleverse” that featured headshots of Google founders Larry Page and Sergey Brin. The article itself was titled “The Complete Guide to Googlemania!” and was originally published in WIRED Magazine on March 1, 2004. The theme revolved around Google’s upcoming IPO (initial public offering). "There are good IPOs, and there are great IPOs. The Google IPO is the rarest kind: one that draws the white-hot glare of public attention," said Marc Andreessen co-founder and partner of venture capital firm Andreessen Horowitz. Google officially held its IPO on August 19, 2004. The company went public at $85, sold 22.5 million shares and raised over $1.9 billion. Shares of Google rose 18.05% to $100.34 at the close on its IPO date. In 2015 the company’s stock split, when it restructured under a larger company called Alphabet Inc., a Multinational conglomerate holding company that owns several companies, including Google. Launching Alphabet was designed to give investors a better picture of profits and losses at Google, by separating the company’s expensive “moonshot” projects, like Google Fiber, into separate entities. In contrast, 14 years after its IPO, Alphabet is currently ranked 3rd on the Fortune 500 List of Most Valuable Companies, with a market value of $750B and annual revenues of $111B. “It was an honor to be named to WIRED Magazine’s Top List of 25 Covers of All Time. It’s also an honor to have photographed not only one, but two of the top ten wealthiest individuals in the world today,” said Grecco. According to the Forbes List of The World's Billionaires, Larry Page, currently CEO of Alphabet, is ranked #6 with a net worth of $50.5B. While Sergey Brin, currently President of Alphabet, is ranked #9 with a net worth of $49.2B. Anna Goldwater Alexander said it best, "The meaning and process and technology of publishing has changed, but one thing has not changed: A good cover is a good cover, no matter its function." WIRED Magazine is a monthly American magazine, published in print and online editions, that focuses on how emerging technologies affect culture, the economy, and politics. Owned by Condé Nast, it is headquartered in San Francisco, California, and has been in publication since March / April 1993, celebrating 25 years. The original WIRED articles can be read at WIRED.com/2004/03/google-9 and WIRED.com/story/favorite-25-covers.